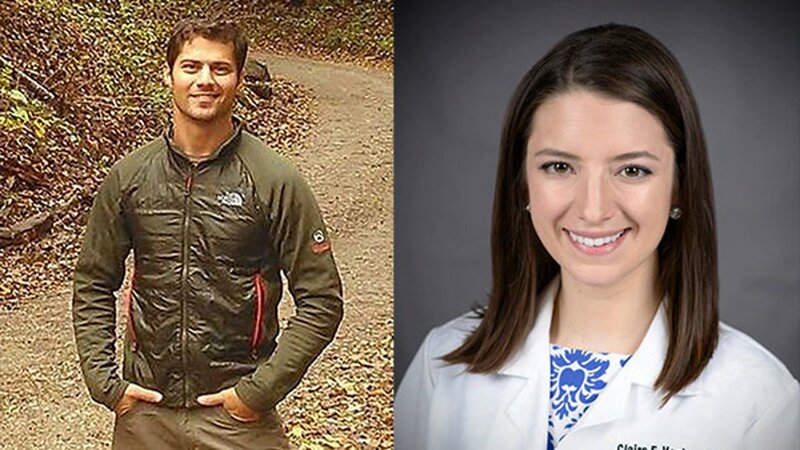 LAKE FOREST, Ill. (WLS) -- Lake Forest police confirmed Wednesday a 27-year-old U.S. Navy dentist was shot to death by her 33-year-old ex-boyfriend in a murder-suicide two weeks ago. Ryan Zike shot Claire Vanlandingham behind a Dunkin' Donuts in downtown Lake Forest, police said. The two previously dated and lived together in the north suburb before Zike moved out and relocated to Louisville, Ky., with his family. Investigators said Zike drove to Illinois the day before the shooting and stayed overnight at an unknown location. Around 6:20 a.m. on Jan. 3, he approached Vanlandingham in a parking lot between her apartment and the coffee shop in the 600-block of North Western Avenue. After a brief conversation, police said Zike shot her several times with a semi-automatic pistol. A male co-worker was supposed to pick up Vanlandingham for work that morning. The 37-year-old man, who is an active member of the Navy, witnessed the shooting and thought Zike might turn the gun on him. Police said he rammed Zike with his Land Rover Discovery to avoid being shot. Zike then shot himself in the head, according to police and the Lake County coroner. He was found dead at the scene. The coroner also said he did not sustain major trauma from being hit by the co-worker's Land Rover. The co-worker tried to give Vanlandingham first-aid, ran to a nearby business to ask for help. She later died at Lake Forest Hospital. Toxicology results are pending on both Zike and Vanlandingham, the coroner said. Zike had a valid concealed carry gun permit for Kentucky, police said. He was also armed with another pistol and a knife.